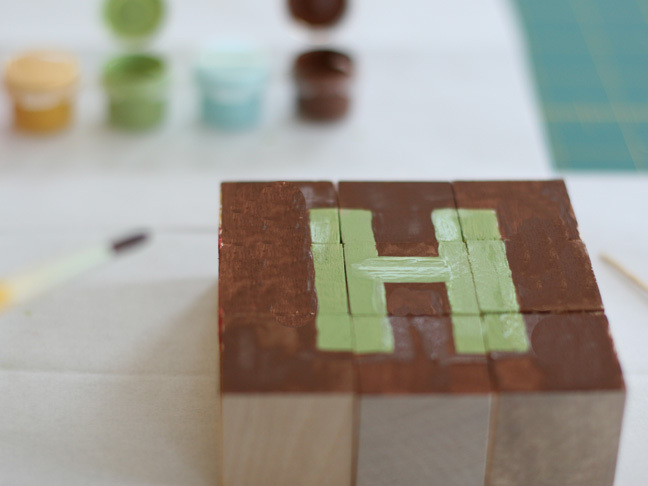 All young kids love to play with blocks and put together puzzles, this combines both of these fun learning based activities and make a great personalized, homemade gift. You can make this block puzzle in little more than an hour, but it will be treasured for years by a happy toddler or two. 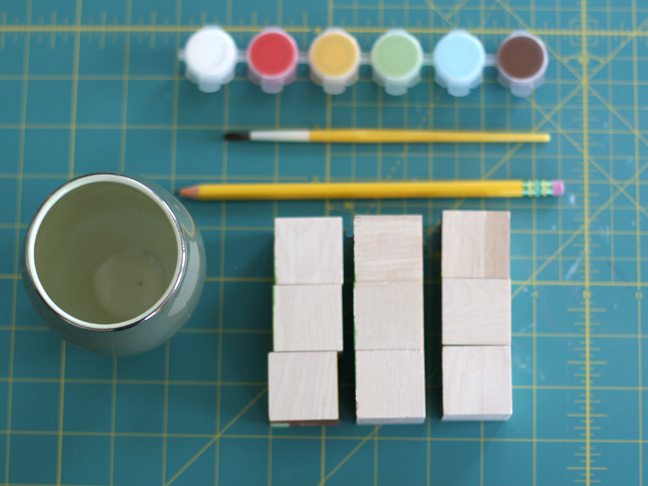 Place the blocks into a nice square and carefully draw a shape with a pencil or another tracing object like a cup or lid. 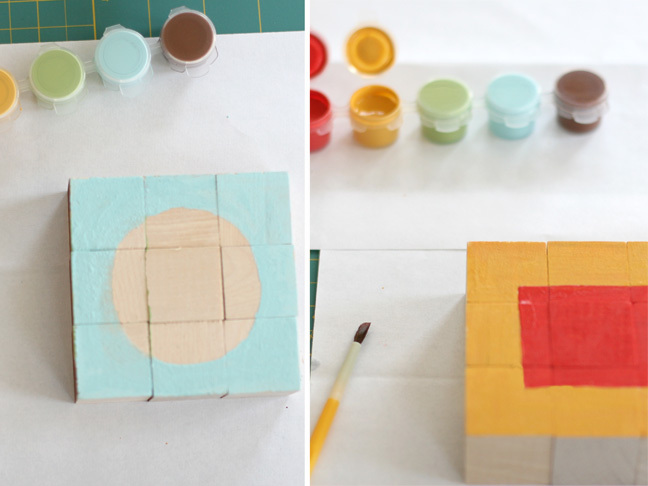 Using tape or a straight edge, paint the inside the shape or however you’d like to decorate it. Just be certain the blocks stay right together so it will fit like a puzzle. 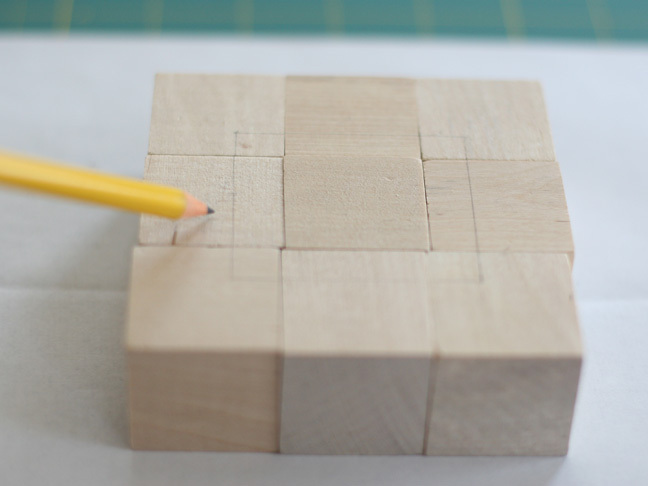 Remember to extend whatever shape you’re making onto more than one block so it will be easy to know how they fit together. After you’ve painted one side and let it try, turn the blocks over in a uniform direction and choose a different shape to paint on. Letters are great things to paint and you can personalize it for gift giving. Do the same with a third side. 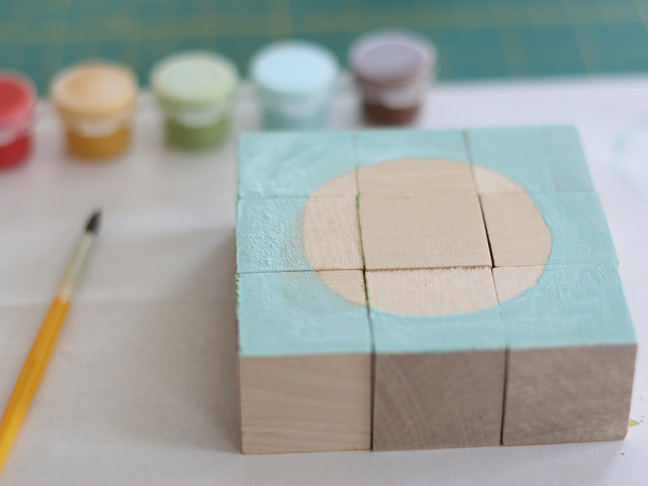 Three sides seems to be a good amount but if you’re feeling ambitious, paint all six sides. 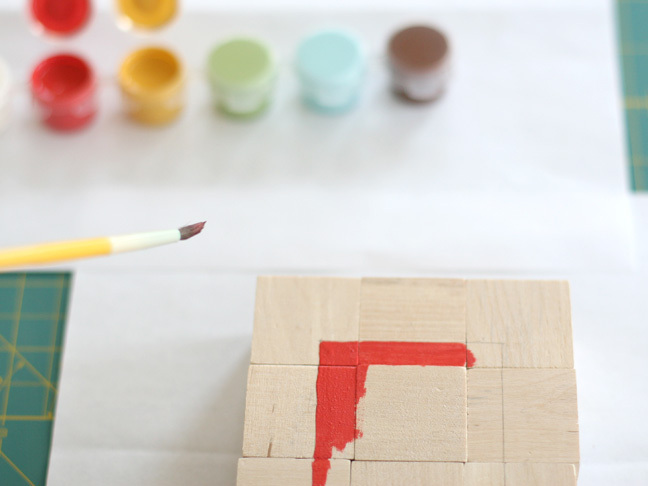 Let the paint dry and package it up for your favorite toddler!